Invite only the core group of mates out on the night - and most importantly mates that know how to have a good fun night, but know their limit too. All too often we have seen a great night finish with disaster because ol' John is not a good drunk! Put some effort into some sort of plan guys - too often we see guys just head out on the town and get blind drunk... and thats fine if that is what your buck REALLY wants. But in our experience the best bucks nights in Hobart (that we have seen) are those with someone calling the shots, someone who has put time and effort into planning a good night out. If you are stuck for ideas dude, just google "bucks night ideas in Hobart", and a few variations of that, and you will have more info than you need to make the night a success - and remember food in the equation too guys! Be sure to hold the bucks party at least 2 days before the wedding, but more preferably a week before. Not good for the wedding photos if the groom still has tar and feathers stuck to him, or if he is sporting black eyes and a major hangover on the big day fellas... not cool... and the bride will hold ALL OF YOU accountable for years to come... but i'm sure you are not THAT group of blokes... right?! If you are planning a bit of a "raunchy" surprise for the groom, make sure it is within allowable limits (in the BRIDE TO BE'S eyes that is). Last thing you want to be a part of is a divorce two days after the marriage guys... and yes unfortunately we have seen that too, hence the heads up! And most important of all - get a pimped up ride for the night! 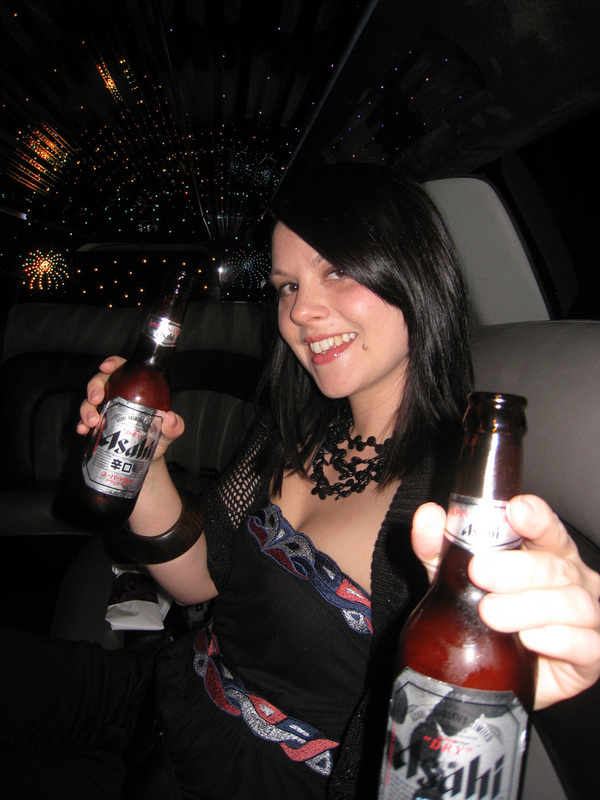 Enter Hobart limo hire! We will take care of the driving so no one has to play "Des"... then you can all go out, get suitably inebriated and still end up in back in your own bed at the end of the night - not sleeping at the local clink!